What power in my acts? Design my final resting place. To unlock this mystical quatrain's inner meaning, simply replace wine with Divine. If together we now marvel at the paradoxical choice of imagery -- inebriation/transcendence -- it becomes clear that only a very bodily intimacy with such experience would seek it out. This is the heart of Islamic teaching called Sufism. Through chant, ritual dance and music, the presence of the Divine is invoked. The body becomes a lighted vessel, the heart the receptive radiator. The mask of persona is momentarily forgotten. Physicality becomes a conduit. States of unreasonable happiness or ecstasy are granted. You sit, walk or sway in the aroma of tacit presence. And now there's the connection - music. It's one thing to read and talk about such matters. It's quite another to be involuntarily made to experience them - directly. Anyone who's ever listened to music in a state of eventual self-forgetfulness can relate. Mind and emotions may have been agitated before, stuck to so-called "business of life" challenges. 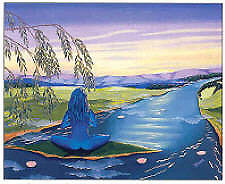 Sly and unbidden, a serenity and peacefulness then invades our being that is truly noticed only in the fathomless quiet after the music stops. We still carry its fragrance on our skin. Perhaps we'll revel in it a while longer. Or we even manage to turn about and float down yet farther into this pulsating silence. Sounds like a somewhat familiar experience, at least occasionally? Then you will already know that the most powerful before-and-after transformations occur only with very specific music. The kind that stills the mind, opens the heart, causes tears to well up without reason or sadness. The kind that releases feelings of great depth or expansion. As some would say, touched at the core. The music of Omar Faruk Tekbilek takes me there. Judging from his growing worldwide acclaim, I'm not the only such traveler. Today's opening poem was deliberately chosen. 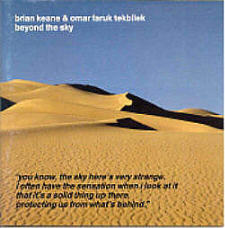 Its author and Omar Faruk take their stand in the same tradition of mystical Islam, one a poet, the other a world-class multi-instrumentalist from Turkey. 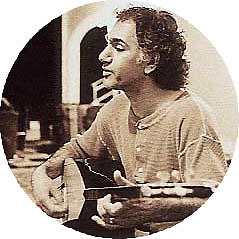 Our interview might explain why his music carries the intoxicating bouquet of Omar Khayyam's wine. But the invitation really is not to stare at the label. It's to uncork the bottle, drink, and toast a friend or loved one. Keep yourself from worries and sorrow. Seize with all your might this fleeting life. Be happy for a moment, this moment is your life. 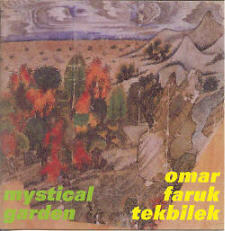 There are eight Omar Faruk CDs to choose from. But first, some background. 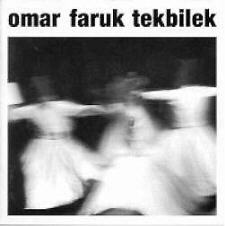 Omar Faruk's life reads like a Gurdjieffiian parallel of musical initiations, empowered teachers and the connecting thread of benign providence. He was born into an Egyptian/Syrian bloodline in Adana, Southern Turkey. His father was a devout Muslim, preached at the mosque and fluently sang in all the makams or scales of the Middle-East. Already at eight, Faruk began playing the Kaval, a primitive end-blown 10" long Shephard's flute that's native also to traditional Romani Gipsy music. He quickly advanced enough to be noticed. Appreciative fellow musicians smuggled him into nightclubs to participate in their performances before being underage got him kicked out until the next evening. He studied the Ney flute under the tutelage of his elder brother Hadji Ahmet, a multi-instrumentalist who eventually emigrated to Sweden where he's made his home since. A childless shop keeper and distant relative named Avdin adopted Faruk as surrogate son and taught him all the basics of notation, rhythm and the baglama lute in trade for working the shop while he attended other obligations. His next teachers were saxophonist Ismet Siral who, together with Jazz drummer Burhan Tonguch, became famous for opening traditional Turkish music to modern global influences and bringing rhythm into the foreground. Until then it had remained subdued background color. 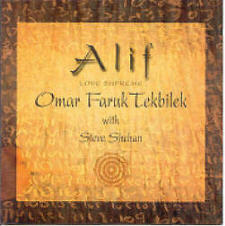 SIral's unusual philosophy introduced Faruk to the notion of playing for birds, trees and animals. Burhan -- or Baba as he affectionately calls him -- meanwhile saw beat as the final crucible underlying all music. He initiated Faruk into the subtleties of rhythm, not only on the drum skins but as perceived in the beating of the heart, the rippling of the muscles, the endless cycles of the breath. Left partially paralyzed by a stroke, Tonguch played on a custom one-handed percussion rig. He taught hundreds of students and served Faruk as a role model: How to accept even Life's apparently rawer deals as gifts by turning them into blessings in disguise, through the physical embrace of hard work and applied adaptation. Baba also shared with Faruk his knowledge of Yoga, which since includes Tai-Chi and Qui-Gong as part of Faruk's daily personal body-mind discipline. 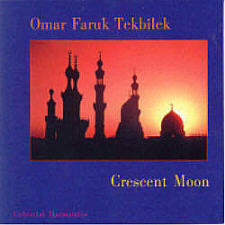 In parallel to his musical adventures, Faruk engaged in Rosecrucean studies and entered formal Sufi training to become an Imam. He nearly concluded a 7-year course that would have ended in the level of 'Atiq or accredited mosque preacher. After 6 years, he decided to focus on his music instead but has continued such studies in private since. At 16, cosmopolitan Istanbul beckoned. Faruk and brother Hadji Ahmet moved and soon became in-demand session players. 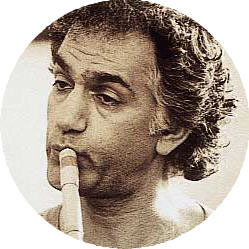 Intermingling with working artists like Orhan Gencebay, Ahmet Sergin and Mine Kosan, Faruk's instrumental arsenal grew to include the oboe-like zurna, oud and all manner of Middle-Eastern hand percussion. Though not officially entering the order, Faruk was also introduced to the Mevlevi dervishes and, in head Ney player Aka Gunduz Kutbay, encountered yet another powerful teacher whose synthesis of music, prayer and spiritual work would shape his focus forever. At 20, he first toured the US as member of a Turkish ensemble and met his future wife Suzan. He had to return to mandatory Turkish army service before he could relocate permanently into Rochester's second-largest US Turkmen community. He now finally consummated a four-year remote letters courtship in marriage. Together with percussionist brother-in-law Ibrahim, an Egyptian keyboardist and Greek bouzouki player, he launched the formation The Sultans that played a mix of traditional bellydance music and Classical Middle-Eastern fare. Despite Rochester's inbuilt native audience for such musical memories, Faruk would spend the next 20 years working at the Hickey-Freeman Company to support and raise his family of five. This upscale couturier establishment provided garments to the High Society and employed Faruk on a steam presser and later cloth-cutting machine. Faruk would escape to New York over the weekends to play music in trade for grueling 14-hour roundtrips. Living today in a modest Rochester house with a small recording studio in the shadows of the Genesee Brewing Company, he looks back at this time as a valuable gestation and preparation period for his next phase. That commenced with his first big break in 1988. Manhattan's Fazil's International Club was one of the weekend venues he frequented after a long week's work. Producer Brian Keane sat in the audience looking for inspiration. 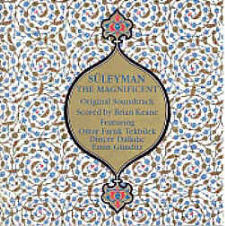 He was working on a soundtrack about Ottoman emperor Süleyman. He felt in dire need of the right musicians to provide an authentic atmosphere for the film. Keane refers to the players the Met had saddled him with as a professorial bunch - all head, no heart. In desperation, he had turned to Arif Mardin, the legendary Turkish producer of Aretha Franklin and the Bee Gees. Mardin couldn't be sure but suggested a five-night stand at Fazil's to possibly scare up suitable talent. Suffering through reruns of mediocre bellydance music, Keane was just about to throw in the towel when Faruk took to stage on his last night, still showing exhaustion from the 7-hour drive from Rochester. The rest is history. 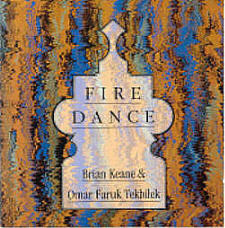 Keane and Faruk went on to produce not only the Süleyman the Magnificent soundtrack, they followed it up in due course with Firedance and Beyond the Sky. Then a cloth cutter promotion at Freeman's cost Faruk part of a finger in an accident involving machinery and a lousy medical patch job. Upon returning to work after healing, he was promptly shown the same seat behind the same bloodied machine. When he protested, it was final exit or swallow hard and stay. Feeling depressed yet financially forced, Faruk lights up when recounting Grace's next intervention. He returned home one night soon after having resigned himself to find a letter. It was from the German record label Celestial Harmonies that had released his prior efforts with Brian Keane. He was offered a five year contract that finally allowed the economic security to become a fully paid dedicated musician. The albums Whirling, Mystical Garden and Crescent Moon followed in two-year intervals, now self-produced but still featuring mentor and friend Briane Keane on guitar and as contributing composer. 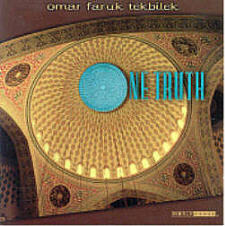 Gaining notoriety and renown as one of the world's preeminent Middle-Eastern composers and performers, Faruk has since collaborated with Don Cherry, keyboard player Karl Berger, ex-Cream rock/Jazz drummer Ginger Baker, the late Ofra Haza, percussionists Michael Askill, Peter Erskine, Trilok Gurtu, Bill Laswell, Hossam Ramzy, Arto Tuncboyaciyan and Glen Velez, oud and violin virtuoso Simon Shaheen, Mike Mainieri, the Arab/Israeli fusion group Bustan Ambraham, Jai Uttal, Mitzie Collins, steel drummer Alfred St. John, Romanian panflute sensation Damian Draghici, and many others. In 1999 and concluding his prior contract, One Truth appeared on Sausalito's classy Hearts of Space label. With the appearance on it of California flamenco guitarist Adam del Monte, certain tracks first hinted at the stylistic expansions this year's Alif on Gate Adama/Narada embraced even more fully. Having sketched out this biographical overview, we'll now hand Omar Faruk the virtual mike of a transcribed telephone conversation that took place July 1 and was generously arranged by his producer Ofer Ziv of Gate Productions.